You aren’t the first person in Long Island to get behind on mortgage payments and need to stop foreclosure on your home… and you won’t be the last. Across New York State, there were nearly 33,000 new foreclosure filings in 2017, with more than 8,000 new foreclosure filings right here on Long Island. In fact there were over 43,000 homes in foreclosure or pre-foreclosure in Long Island at the end of 2017. So don’t feel ashamed. It happens. The best thing you can do right now is educate yourself on how to stop foreclosure and what all your your options are (you do have options) and then TAKE ACTION so that you can control the final outcome. Foreclosure doesn’t have to happen, if you take control now and let us help you through the process. 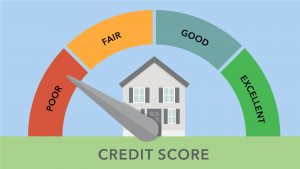 If you have some equity in your home and can no longer make your monthly mortgage payments, selling your home is usually the best option (we buy houses cash and we can make you a fair all cash offer on your house today). For many people with no equity or a house that is worth less than what is owed on the mortgage (underwater) a SHORT SALE is usually the best possible solution but you may have other options. 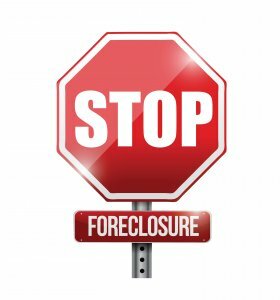 If you are already in foreclosure, we can help you STOP FORECLOSURE completely by helping you through the Short Sale Process with the bank. We will even find you a buyer so you don’t have to deal with the hassle of finding a buyer yourself! Not sure which route you want to take and want to hear about ALL your options? Call us now or fill out the form and we will be glad to talk through all the options you may have. You can be facing foreclosure tomorrow and we can still stop foreclosure on your house today with our highly effective short sale process. You can sell your house even if you are over leveraged (underwater mortgage) and you owe more on the mortgage and back property taxes than the house is worth. When you are up against the wall with no time left, there are real advantages to be had by selling your house rather than letting it slip into foreclosure. – Stay in your house temporarily so you can plan your relocation. Negotiating 100% Debt Settlement with No Deficiency Amount. You will be FREE & CLEAR! There are NO FEES and NO COSTS to you. During the entire Short Sale Process you are under NO obligation to sell. If you are not fully satisfied with the terms we will stop at any time and part as friends. Want to stop foreclosure in its tracks? Are you interested in a Free Stop Foreclosure Prevention Session? Enter your info below and press submit and we’ll schedule a call with you to discuss your options. No strings, no obligations, no cost!